Gold, Precious Metals & Fiat Currency Discussions Liberty.meWhat are the Gold Bugs Thinking? For those interested in discussing Gold and other precious metals in a world dominated by fiat currency. What are the Gold Bugs Thinking? I wrote this Last November on Blogger. I’ll be moving all of my material over here as time goes on. Every once in a while someone brings up some good questions to the myriad of gold speculators whom seem to be preparing for some end of the world scenario. 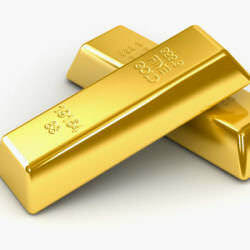 The most obvious question seems to be: If the world economy really goes bust, what good is gold going to do? After all, you can’t eat it and if you’re preparing for such a bad scenario, would it not be more prudent to buy something that has value in a barter such as food, water, gasoline or ammo? I think what a lot of people are looking at when discussing these potential situations is the axiom that it’s going to be a world wide phenomenon. If American inflation get’s to the point where foreign debt holders choose sell their debt into the open market, you are going to have see a much different scenario than a global collapse, you’ll see a global purchasing power shift. The dollar’s status as the reserve currency means it has utility beyond just a debt obligation to the Federal Reserve. A loss of the reserve status would mean you now cannot use the dollar to buy oil or other global commodities. So those dollars would make their way back here to the U.S. since that’s the only place they can be used. That’s the gold bug’s point. Now his purchasing power will increase both nominally and in even real term in the long run, since everyone else now concerned about the short run, he might have a good opportunity to purchase assets locally at a huge discount for his gold. I agree. People who think it foolish to hold precious metals and prudent to instead have only food, water, gas and ammo in a TEOTWAWKI situation, they’re not necessarily thinking about holding the value of a large amount of wealth. It’s not a bad idea to have emergency supplies on hand but to store tens of thousands of April 2014 dollars worth of wealth in said supplies is cumbersome. There are some whom seem to think the the end of the US economic dominance will be similar to a zombie apocalypse. It’s good to have a stockpile of supplies and ammo, but to think that will be only tool to barter with in an increasingly online world is extremely short-sided.